CareFree Enzymes Horse Ear and Facial Wipes promote Equine health and reduce odor. Ear and Facial Wipes contains a non irritating gentle formula that is mild enough for all hair types. Removes contaminants and excessive secretions around eyes & nose while gently cleansing. Soothes and softens hair while eliminating odors and reducing infection risk. 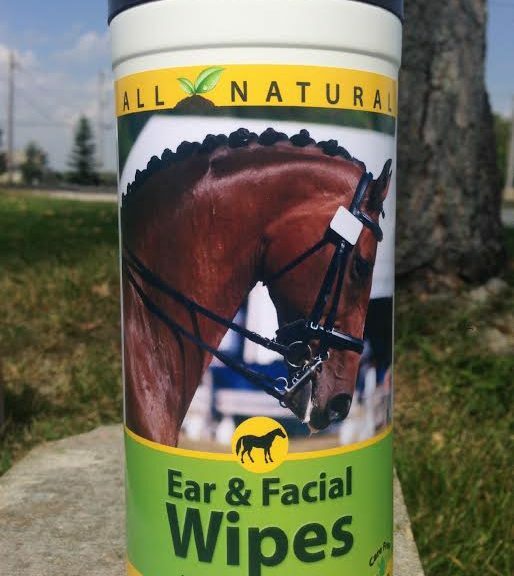 Our unique formula of enzymes and Aloe Vera can be used freely on the face, mane and entire body of a horse. Formulated to clean wax and other discharge found around the ear area. Wipes are soft and safe to use on all horses. Aids in preventing irritation and itching. Helps prevent infections and ear odors.